Note for Hardware Beginners: This hardware configuration guide is on how to build the best PC for workstation/production 3D rendering, modeling and/or animation programs such as 3dsmax/Maya/VRAY/etc and should NOT be confused with 3D rendering/animation for general gaming. If you're a gamer, see our gaming desktop build guides instead. Building the best custom computer for demanding 3D workstation and production applications like 3D rendering, animation and 3D modelling is similar to building a PC for gaming performance, albeit with a few added considerations - typically with heavier demands the CPU, RAM and GPU (graphics card). However, not all 3D render programs are created equal, and everyone's workflow and specific requirements will vary, so the options you have when building or buying a new system for 3D rendering is quite vast. Looking into the specific requirements of the applications you'll be using is key, and in this guide I'll share my perspective as an avid tech enthusiast, gamer, and former game programmer/indie developer to hopefully make your build planning a bit easier. If you're a dedicated content creator and your current system is letting you down, grab your favorite drink, get comfy and let's step up your 3D game to design the ultimate render build. Even though we've taken care to carefully, extensively and objectively research the current PC hardware market from the standpoint of a rendering pro (as opposed to our typical stance as a gamer with our monthly gaming builds), don't just take our word for it and always do your own investigation into whether a particular component or recommended PC build below will do the specific job that you want and need, and at the performance and productivity level that you desire. However, in saying that, this 3D workstation configuration guide will hold you in good stead as a base for your research and your quest to plan the best workstation computer build for the money. 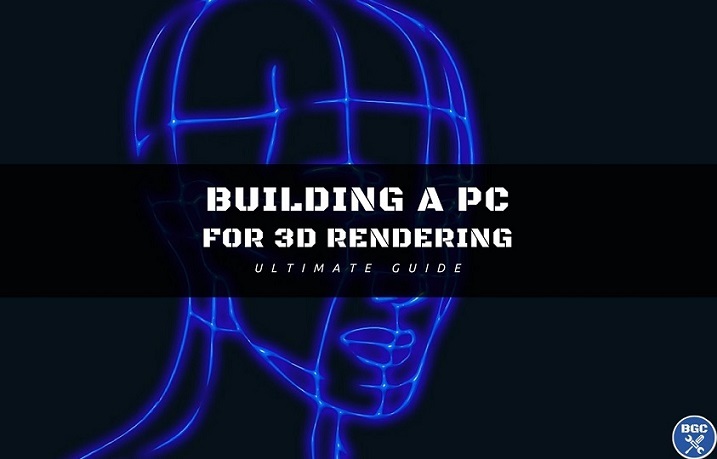 We'll explain the hardware requirements of rendering, modeling and animation programs, how to choose the best components for these programs including tips for specific applications, and we finish up this guide with the current best rendering PC builds for different budgets (IMHO). Grab a drink, get comfy, and let's take your render game to the next level. Are rendering and animation programs demanding on computer hardware? Generally speaking - absolutely. High-end gaming requirements is one thing, but 3D work can take those requirements to another level if you're a high-end power-user or professional. 3D production tasks like rendering, modeling and animation can be really taxing on your system's processor, memory, and graphics card (and therefore all your other parts such as cooling/fans, power supply, motherboard, etc), especially when running world-class software programs and tools and you expect fast, smooth performance without compromises for maximum performance and productivity in your work. Rendering complex, detailed 3D scenes and animations involves a ton of advanced mathematical calculations that takes its toll on your hardware. Heck, even rendering basic scenes can be very strenuous and bring a respectable system to its knees. Not all rendering and animation software is created equal though, and they all have varying demands on your system. For example, some programs will more heavily utilize your CPU rather than your GPU, and others will be the opposite. Some will require a ton of RAM to run smoothly; others not so much. Therefore, when you're planning to build, buy or even upgrade a PC for rendering, animation and/or modelling, the most important thing is to consider is your specific workflow; which exact tools are you going to be using and what are their specific requirements? To state the obvious first, it's a good idea to first check the official latest hardware requirements for the specific programs you'll be using, and make sure you cover the “recommended” (not the “minimum”) specs if you care about productive performance. Although to be fair, typical program recommendations are quite vague and usually on the lower-end to show what the bare minimum is, which isn’t that helpful when picking parts for your new workstation as you’ll usually want to exceed even the recommended specs if you want a great workstation that doesn’t slow you down. But looking at them can be useful to get a general idea of what the program requires as a minimum and which hardware components are important to that program, as well as to compare the requirements of different programs if you’ll be using multiple programs and want to make sure you cover all your bases. Nothing worse than building an expensive PC and then having your hardware lagging significantly behind with a certain program or tool, and having your productivity (and sanity) suffer. Also, whilst certain software programs and tools will utilize certain hardware components more than others (such as one program perhaps utilizing your GPU a lot more than your CPU, and vice versa for another program) it's a good idea to aim for a well-balanced build that has fast parts all-round and that doesn’t compromise too much on any one piece of the puzzle. You could say a fast workstation PC is only as strong as its weakest link, so try to aim for a powerful trio of a fast CPU, fast GPU, and fast (read: large amount of) RAM, well-supported by a good quality motherboard, power supply, case, and fast storage ideally with an SSD in there somewhere for maximum access speeds for your favourite tools and operating system. Before splashing your cash on a new 3D workstation computer, take the time to ensure you think every component choice through, so you can avoid disappointment and get the performance and productivity that you’re seeking, and to make the most of your money. Building your own custom PC is the best way to do this - especially if you're on a budget of sorts - as you're able to strategically pick the very best tools for the job, get the most for your money, avoid overspending, fully maximize cooling and upgrade potential, choose the coolest looking case and design, and tailor the perfect system for maximum productivity and enjoyment in what you do among the other benefits of building your own computer. If you've never built your own PC before then don't worry: building a computer is very easy in 2018 and if you're into 3D work then you're likely a smart guy or gal with at least a little tech-savviness and therefore it would likely be a walk in the palk for you. You can watch a YouTube video or if you want the most indepth step by step guidance possible check out our full eBook on building your first PC which was carefully written with first-timer builders in mind to avoid confusion or overwhelm. Ok, let’s take a look at each PC component in more detail and what to look for when building the best 3D rendering PC build in 2018. In general, for 3D rendering and animation purposes your processor selection is important if not very important depending on the specific applications you'll be using. The biggest factor that'll determine how much CPU power you'll need for your 3D rendering workstation build is whether or not the rendering program/s you’ll be using have support for what’s called GPU rendering (also known as hardware rendering). 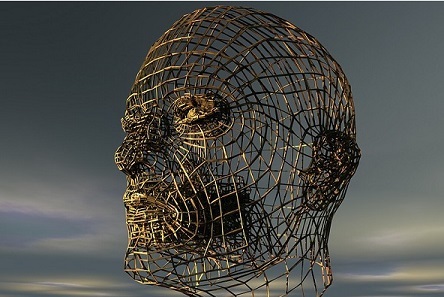 When it comes to 3D rendering, there are two ways your favorite software can actually use your system to calculate the complex rendering process; either through the CPU, called CPU (or software) rendering, or through your graphics card, called GPU (or hardware) rendering. Hardware/GPU rendering is more efficient and therefore faster, and takes the load away from your CPU, but not all programs will support GPU rendering. You should check to see whether the software and tools you'll be using have support for GPU/hardware rendering. If they do support GPU rendering, you’ll want to put more money towards your graphics card than you would otherwise (just like building a gaming-focused PC) and you won’t be needing anything more than a mid-range CPU. But don’t get me wrong; you will still need a decent CPU for all the non-rendering tasks and multitasking anyway; it’s just not AS important when you have GPU rendering by your side to ease the load on your CPU. But on the other hand, if the programs you'll be working with primarily use your CPU (as in, software/CPU rendering) then your CPU selection all of a sudden becomes more important (and your graphics card doesn’t; unless you want great gaming performance or another program in your 3D production workflow would benefit from a good graphics card). Generally, if you're be using CPU rendering then you should most likely spend more on your CPU than your graphics card when you're planning your optimal rendering PC build. 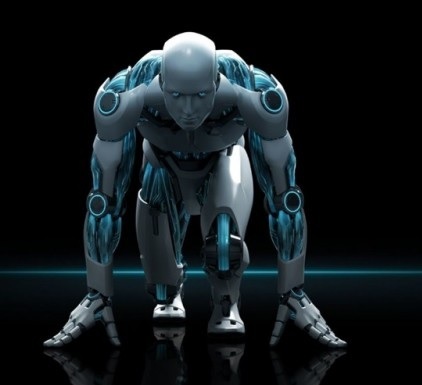 Many CPU-based rendering engines such as Mental Ray, V-Ray, Keyshot, Scanline, and CAD applications like AutoCad (which are CPU rendered) will utilize the high clock speeds and high core and thread counts of the better CPUs on the market, so for these types of tools you should invest in the best CPU you can with many cores and threads. As for specific recommendations on CPUs for 3D work, we'll include some of the current best rendering CPUs for the money in our recommended rendering PC builds later on in this guide below. As mentioned, if the software you'll be using has support for GPU rendering, such as 3dsmax, Blender, Maya, Solidwork, or NVidia Octane just to name a few, your choice of graphics card suddenly becomes quite important too; potentially even more so than your CPU selection for certain workstation builds (that’s not to say you can slack off on your CPU though). 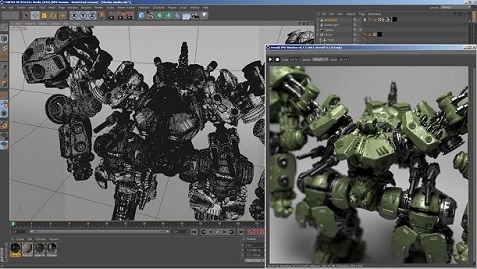 Software with support for GPU rendering will put that extra graphics power to good use. If you won’t be doing GPU rendering, as in you’re using software that doesn’t support it or doesn’t use much of it at all, you can realistically get by with a basic/low-end graphics card. But you still want to get a dedicated graphics card, with some sort of power such as a low-end gaming graphics card, as most 3D work will utilize the card in some capacity such as for rendering the 3D viewport in your modelling program and panning, zooming and rotating your 3D models etc. When it comes to choosing a graphics card for your workstation, you basically have two main choices; there are “gaming” cards, and workstation cards. Gaming cards such as NVidia’s GeForce GTX and newer RTX series can work great for both gaming and workstation uses, depending on the program. However, workstation cards like the Quadro are only suitable for workstation use and not recommended for gaming. For many people, getting a good gaming video card really is all you need for 3D work, and are the best value for money buys overall. They also have built-in CUDA cores (present on NVidia cards only) which is a feature that certain programs such as NVidia’s IRAY or Octane take full advantage of when rendering. However, while we generally recommend sticking to “gaming” cards for most rendering purposes, some GPU-rendered programs such as 3dsmax perform better on a workstation-specific graphics cards such as NVidia’s Quadro or AMD's FirePro range. If your particular program benefits from huge amounts of VRAM (video memory) such as more than the 11GB maximum that NVidia GTX and RTX cards provide (the top of the range RTX card, the 2080 Ti, has 11GB, although the GTX Titan has 12GB) or if you need 10-bit color support then workstation cards may be a good choice. However, as mentioned a good “gaming” card would still do a great job. As for the whole NVidia vs AMD debate when picking a card, unless you have a good reason provided by the developer of your specific software, overall NVidia is the go-to for these types of applications as they are generally better supported by 3D programs when it comes to GPU rendering. NVidia got a head-start on AMD when getting into GPU rendering, and their cards have a feature called CUDA cores which many 3D programs put to good use to increase rendering performance. If you have or get an AMD card, you should be fine anyway; just check your program requirements, but in general you should always stick to NVidia for this kind of thing. We include specific graphics card recommendations for 3D workstations based on the current market in our recommended rendering PC builds in part 3 of this guide further below. Again, the importance of RAM when building a workstation PC for rendering/animation/3d work depends on your specific program, but in general it’s important for any type of workstation build as multitasking usually plays a big role in your workflow. Simply aim to get as much RAM as you can afford, with 16GB being a minimum target for 3D work, and 8GB being the absolute lowest you should consider if you’re on a really tight budget. You might get away with 8GB on some programs, but it's really not recommended. You may even need 32GB or even more depending on the size and complexity of your renders and the other tasks you’ll be doing. It's not uncommon for pro 3D workstations to have a hefty 64 or 128GB of RAM in their systems for maximum multitasking productivity. If you want to maximize memory performance you'll also want to opt for either dual or quad channel RAM, and get a motherboard that also supports this. Plus, stick with the latest DDR4 modules. As for speed, simply get the fastest you can get, but the speed doesn’t matter anywhere near as much as the amount. For example, in a theoretical situation (simply to illustrate our point), if you have the choice between 8GB RAM at 3600 MHz speed, or 12GB at 2133 MHz speed, always get the 12GB. If you're spending a decent amount on a workstation type build, you'll most definitely want to get an SSD (Solid State Drive) to install both your OS and the programs you'll be using the most as it really does make a noticeable difference in speed and loading with these programs. A cost-effective, popular solution is to combine your SSD system drive with a larger, standard HDD (Hard Disk Drive) or multiple HDDs to store all of your data and files on. As for the size of storage, obviously it'll vary from person to person, but be wary if you'll be doing lots of animation work; while 3D modelling files and images don't take up too much space, animation videos most definitely can chew up a ton of space quickly. If you're decking out the best workstation possible, don't forget about considering M.2 SSD drives instead of standard SSDs. They're the absolute cream of the crop when it comes to speed. Another factor worth thinking about is getting an optical drive. While these days optical drives are totally optional for a gaming build due to the rise of digital delivery, when it comes to a workstation build they can come in handy or be totally necessary either to burn your finished products to disk, backup your work, or to install necessary software that come with your 3D program/s (although that software should be available online). The other parts of your PC don’t matter specifically to 3D rendering and animation, but you want to make sure not to skimp on any of them so you have a well-balanced build that’s going to last. As with building any type of good PC, you’ll want a quality power supply from a trusted manufacturer that has enough wattage for your needs plus with enough wiggle room for upgrades, as well as a decent quality, well-cooled case to house all of your parts that has enough space for future upgrades as well. As for the software to use if you’re a beginner in this field; that’s all down to your needs and budget. Amateur and hobbyist users may be just fine with a free option such as the popular Blender program, while pros and enthusiasts will want the functionality of top tier programs like Maya, 3DSMax, Modo and Cinema4D just to name a few. Discussing the selection of your software is beyond the scope of this guide, but you have a wealth of options and many have free trials too (thank the heavens for that 'cause many will cost an arm and leg). For your desktop’s operating system software, it’s hard to look past Windows 10 when building a new PC right now. For a high-end workstation PC I would also opt for the professional version over the Home. As mentioned throughout this guide, building a workstation PC for 3D work isn't a one size fits all equation and it all comes down to your exact needs and workflow, with a big part of that coming down to the software you’ll be using most along with whether or not it utilizes the CPU or the GPU more for rendering (or perhaps both). But we will provide some well-balanced example builds that you can use as a starting point for designing your own customised 3D rendering PC setup that takes into account any specialised needs you may have. Always do your own research. For example, if the program you’re using leans a lot more on your CPU than your GPU, you may want to step down the GPU one notch and add that into a better CPU, and vice versa if you’re going to need all the GPU power you can get your hands on. Even though this is a “budget” 3D rendering build, it packs a fair punch and will offer solid performance across many basic, typical 3D workflows. You could build a cheaper setup than this and get away with it in certain cases, but these are the minimum parts I can recommend for a productive 3D rig; you don’t want a slouch of a computer for this kind of work. The Ryzen 5 2600 processor is a very good, affordable multitasking chip with 6 cores and 12 threads and it comes with a decent stock cooler too which does the job if you won’t be overclocking this chip. For CPU-based rendering programs, this CPU is the minimum we suggest. The GeForce GTX 1050 Ti 4GB graphics card is a great value low-mid range card that has a decent amount of graphical power and is the minimum I can recommend for 3D work in general. You generally don’t want to go less than the 1050 Ti unless your software really doesn’t need more GPU power, and ideally you’ll want to step up to the GTX 1060 6GB if you can and your software will utilize it (read: supports GPU rendering) as it has a lot more CUDA cores than the 1050 Ti which a lot of GPU-based renderers directly benefit from. Rounding out this decent entry-level 3D workstation you have a large 16GB of the latest DDR4 RAM; while you could get away with 8GB, we highly recommend 16GB as your starting point for demanding applications such as 3D rendering/animation software. This is a Ryzen 2600 gaming setup, but simply add in more RAM, more storage, and lower the graphics card to the 1050 Ti and you've essentially got the above setup. This is a nice step up from the previous custom render workstation setup, with a better processor with even more cores and threads, a stronger GPU with more NVidia CUDA Cores that comes in handy for GPU rendering, and double the amount of RAM for a seriously powerful setup that’ll please many. 32GB of RAM isn’t necessary but it most certainly helps in providing seriously amazing multitasking and general system performance; but get 16GB if you’re trying to cut costs as that is still plenty for very good performance. Add more RAM and storage to that 1500 dollar gaming PC and voila - you have the above parts-list almost exactly. Also consider getting a CPU cooler like the above Deepcool example instead of the stock cooler included in the gaming build example, as 3D renderings with the CPU will tax your CPU more than so than gaming will. 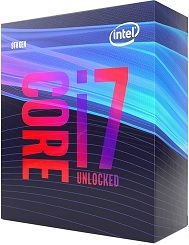 Now we start getting into amazing performance to dominate many types of 3D workflows with a monster 16 core and 32 thread AMD Threadripper CPU (or extreme Intel CPU) coupled with a quality cooler to keep it running nice and quietly, and a high-end graphics card that will not only render effectively but play games extremely well too. We’ve listed an M.2 SSD (and a large 1TB one to fit all your favorite apps) because these special kind of super-fast SSDs are worthy of consideration when splurging on a great workstation build. We’ve also kept the RAM at 32GB; feel free to up the anti to 64GB to really go all-out and you know your workflow benefits from the extra memory. You would really only need a more powerful system if you know that you’d benefit from it to be honest. Besides spending thousands on a Quadro GPU/s if your specific program benefits from them, the above list of parts is what we'd suggest as a good value for money base to really drive excellent workstation-level performance with an amazing CPU, GPU and RAM. The CPU is arguably the best CPU rendering pick on the market right now, the Ryzen Threadripper 2990WX, which absolutely dominates programs such as V-RAY (see benchmarks here). Included in this sample rendering workstation build for power-hungry users is a "gaming graphics card" once again in the newly released RTX 2080 Ti, as they’re the most flexible type of card across most programs and for most people (gaming cards, that is). Workstation cards, like the NVidia Quadro range, which actually have new 5000/6000/8000 models launching at the end of 2018, are not for everyone and only suggested if your software takes full advantage of them (and you're a pro with many 1000's to spend). That wraps up our comprehensive guide to building a 3D rendering/animation workstation PC, which took an obscene amount of careful objective research and analysis to compile, and that we'll continue to update periodically whenever we feel it deserves an update. If you're a rendering pro who also knows hardware inside out and want to share some feedback or report an error in this guide, please don't hesitate to reach out to us. 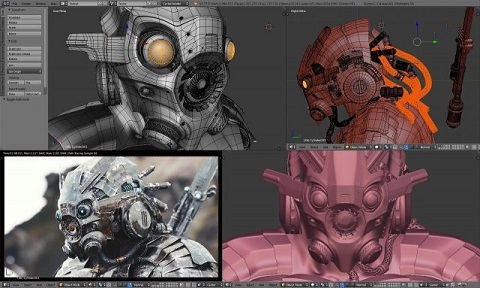 We wish to keep this guide as accurate and helpful for 3D professionals as possible. Hopefully it helps you a little with planning and building a killer 3D production setup. If you're building a PC for the first time, see our guide to building your first custom PC here which explains everything you need to know including a link to a written installation guide and a video one, and if you want further help choosing optimal parts then email us and we'll help you out wherever we can. Good luck, friend.